Put control at your fingertips with the fluid lever stroke and infinite adjustability of the new Haven dropper post. Not only is this post sleek with subtle graphics and internal cable routing, but it boasts patented hydraulic locking technology that is inspired by mountain bike disc brakes. 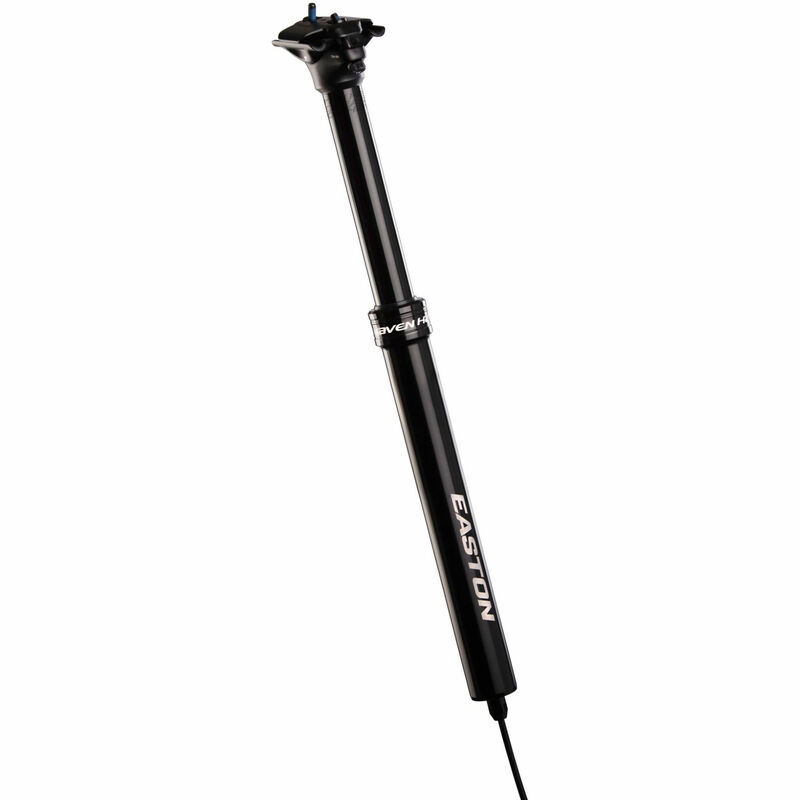 The Haven dropper utilizes lower air pressures and static seals allowing Easton to tackle head-on the reliability issues plaguing current dropper posts to create a new benchmark in dependability regardless of temperature or riding conditions. Users will appreciate that the remote utilizes standard shifter cable and housing and best of all, the Quick Connector feature allows tool-free easy disconnection from internal cable routing without losing tension settings, making it easy to remove the post or share between two bikes. Received the item as expected with complete parts based on the specification. Easy to install using the included quick start guide in the package. This is my first dropper post and used for three rides now and the performance is good. Works very well - requires a little patience with the install but it is not hard. Be sure to cycle it up and down a few times after install.